In the lead up to our 2019 Graduation, ICAN will be featuring scholarship winners of its “Indigenous Financial Counselling Mentorship Program” in the ICAN E-News. The third national program, is the first being delivered by ICAN’s subsidiary registered training organisation ICAN Learn. The Commonwealth Bank sponsored Mentorship program provides nationally accredited training through the Diploma of Financial Counselling and the Financial Literacy Education Skill Set and offers personal and academic mentorship in a supported learning environment, connecting students through face-to-face classroom and online training sessions. 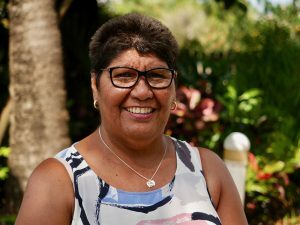 The program reflects the growing number of Aboriginal and Torres Strait Islander peoples working in the financial counselling and capability sector. 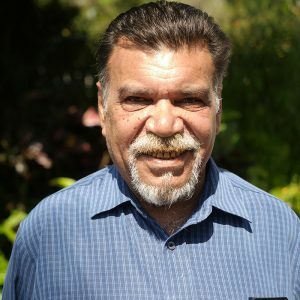 This month we catch up with Pearl Turner from Save the Children in Normanton and Ralph Coulthard from the Aboriginal Legal Rights Movement (ALRM) in Port Augusta and ask them how it’s going so far. ICAN: What has been your experience so far through the Mentorship Program? Pearl – I’ve really enjoyed meeting people from all over Australia. It was bit of a challenge at the start, getting into study mode after such a long time. I think the changes Robyn has brought in, has really helped my way of learning, having the assessments done in the time we’re here will make a big difference. Ralph – The teaching style and student participation have made this a great experience. I think moving away from the technology and concentrating on more to face to face real life yarns really helps with all of our confidence in the program. ICAN: How has the Mentorship Program assisted you in your own work? Pearl – Knowing my boundaries with clients and being able to separate what we can and can’t do in our roles. Really knowing the difference between a financial capability worker and a financial counsellor. Catching up with other students over the phone really helps when we’re struggling to get through assessments, I am always on the phone to the Derby girls Fran and Kelly. Ralph – the program has helped with the way I talk with creditors and have the evidence ‘records’ to back up what I’m saying, I’ve already had a great success getting over $10,000.00 back for client that a car dealership was trying to withhold. Before doing this I never knew anything about financial counselling, it’s like a whole new world has opened up. Nothing feels better than when you get a success for a client. ICAN: What kind of personal and/or professional benefits has the Mentorship Program provided you with? Pearl – The discussions on self-care have been really critical, as our roles can lead to vicarious trauma, especially with the intergenerational trauma so common place in our communities. A big discussion today was around methods of dealing with after hour requests down the street and so on, it’s really about setting boundaries. Ralph – The professional benefits are enormous, I’m building national networks through meeting great people in similar positions from across Australia. ICAN: What has been your experience in doing the course with other Indigenous students? Pearl – Now that we’ve been together for three block visits now, there is a sense of really getting to know each other and a really good bond has formed, where we’re really trying to get each other through. It’s about understanding the challenges we all go through, being so far away from home and making sure we’re all supported. Majella and the team at ICAN treat us like royalty, which also makes you feel closer to home. Ralph – The experience has been extremely beneficial, we all relate well together and have shared many of the same experiences. To find out more about the Indigenous financial counselling mentorship program visit the ICAN Learn website.